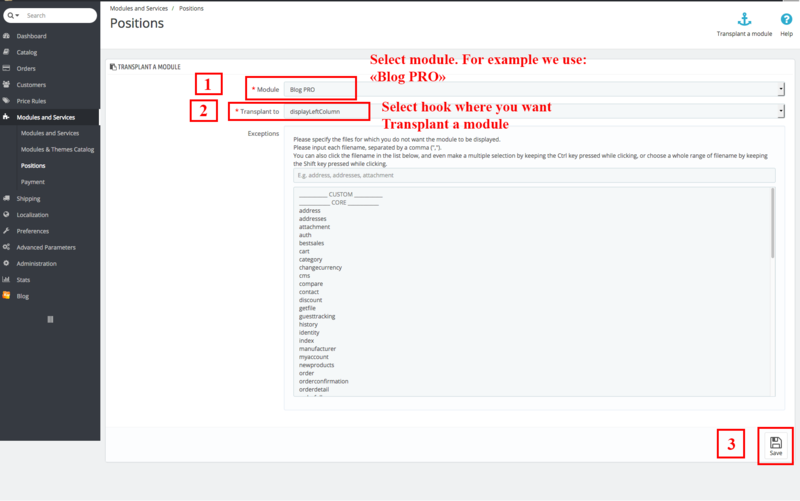 How to Transplant a module in the HOOK - Prestashop 1.6.x.x ? 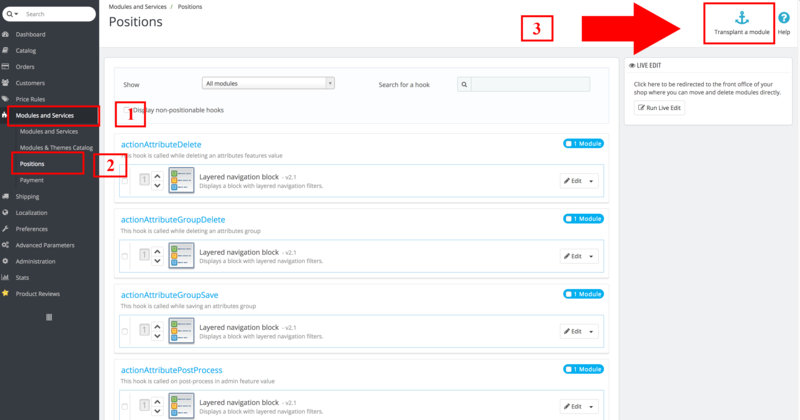 1. go to admin panel -> Modules and Services -> Positions -> click "Transplant a module"
© 2011 — 2019 SPM Prestashop modules. All rights reserved.